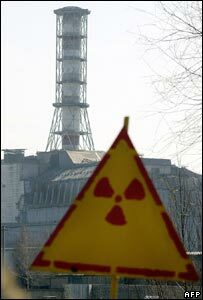 On 26 April 1986, reactor number four at the Chernobyl Nuclear Power Plant blew up. Forty-eight hours later the entire area was evacuated. Over the following months there were stories of mass graves and dire warnings of thousands of deaths from radiation exposure. Yet in a BBC Horizon report screened on Thursday, a number of scientists argue that 20 years after the accident there is no credible scientific evidence that any of these predictions are coming true. The anniversary of the world's worst nuclear accident in April saw the publication of a number of reports that examined the potential death toll resulting from exposure to radiation from Chernobyl. Environmental group Greenpeace said the figure would be near 100,000. 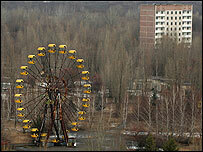 Another, Torch (The Other Report on Chernobyl), predicted an extra 30,000-60,000 cancer deaths across Europe. But according to figures from the Chernobyl Forum, an international organisation of scientific bodies including a number of UN agencies, deaths directly attributable to radiation from Chernobyl currently stand at 56 - less than the weekly death toll on Britain's roads. "When people hear of radiation they think of the atomic bomb and they think of thousands of deaths, and they think the Chernobyl reactor accident was equivalent to the atomic bombing in Japan which is absolutely untrue," says Dr Mike Repacholi, a radiation scientist working at the World Health Organization (WHO). Scientists involved in the Forum expect the death toll to rise but not far. "We're not going to get an epidemic of leukaemia," Dr Repacholi tells Horizon, "and we don't expect an epidemic of solid cancers either." So why have the predictions varied so wildly? Scientific as well as public attitudes to radiation are still dominated by the devastating effects of the atomic bombs dropped on the Japanese cities of Hiroshima and Nagasaki by the US more than half-a-century ago. At least 200,000 people died almost immediately from the blast, and thousands more were exposed to higher levels of radiation than anybody had ever been exposed to before. The survivors of Hiroshima and Nagasaki became the most intensely studied people in the world. "The detonation of the A-bomb," explains Professor Antone L Brooks of Washington State University, US, "was the first time that scientists had an opportunity really to look and to see the health effects of radiation; how much radiation was required to produce how much cancer." In 1958, using data largely drawn from these bomb studies, scientists came up with an answer. It was called the Linear No Threshold (LNT) model and suggested all radiation, no matter how small, was dangerous. It became the internationally recognised basis for assessing radiation risk. Yet there has always been a problem with it. The data from Hiroshima and Nagasaki were for very high levels of radiation exposure, often in the range of thousands of millisieverts. There were no significant data for lower exposures, particularly below 200 millisieverts. "The model was based on high doses and we just didn't know what was going on at lower doses of between one and 200 millisieverts," says Dr Repacholi. 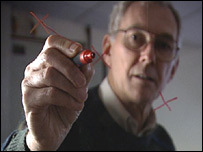 Scientists simply guessed that if high-level radiation was dangerous then lower levels would also be hazardous. They made "an assumption", observes Dr Repacholi. Chernobyl, where most people received radiation doses below 200 millisieverts, has been the first large-scale opportunity to test whether this assumption is true. The evidence from the Chernobyl Forum suggests it is not. "Low doses of radiation are a [very] poor carcinogen," says Professor Brooks, who has spent 30 years studying the link between radiation and cancer. "If you talk to anybody and you say the word radiation, immediately you get a fear response. That fear response has caused people to do things that are scientifically unfounded." Other studies have come to even more startling conclusions. Professor Ron Chesser, of Texas Tech University, US, has spent 10 years studying animals living within the 30km exclusion zone surrounding Chernobyl. He has found that, far from the effects of low-level radiation being carcinogenic, it appears to boost those genes that protect us against cancer. "One of the thoughts that comes out of this is that prior exposure to low levels of radiation actually may have a beneficial effect," Professor Chesser says. Today, although most radiation scientists are reluctant to sign up to radiation hormesis, as this phenomenon is known, there is a growing body of opinion that it is time to rethink the LNT model and with it our attitude to radiation exposure below about 200 millisieverts. However, a number of radiological protection scientists still advocate the use of the LNT model. In April, the WHO's International Agency for Research on Cancer (IARC) published a report that used the latest LNT-based radiation risk projection models to update the estimated cancer deaths from Chernobyl. It concluded that about 16,000 people across Europe could die as a result of the accident. Dr Peter Boyle, director of the IARC, put the row over the figures into perspective: "Tobacco smoking will cause several thousand times more cancers in the same population." Chernobyl was about as bad as a power station accident gets - a complete melt down of the reactor core - yet the lessons of the accident suggest that among the myriad of issues surrounding nuclear power, the threat to human health posed by radiation has been overstated.